The C. Brasill House circa 1860 set on a beautiful wooded acre lot. This charming home offers a large living room with beamed ceiling, skylights and a cozy brick fireplace, double glass doors lead to the Florida sun room overlooking a private wooded back yard. The kitchen offers plenty of wood cabinets and counter space. The first floor has a full bath, a sitting room with home office, master bedroom with full bath. The second floor has three bedrooms and a full bath with a shower stall. All bedrooms have good closet space. There is also a pull down attic for additional storage. A beautiful large back yard with a nice patio area and a built-in grill, plus a one car attached garage with a loft. Unique family-friendly home with sidewalks, walking trails, conservation land, close to Sandy beach. Full basement with laundry & storage. 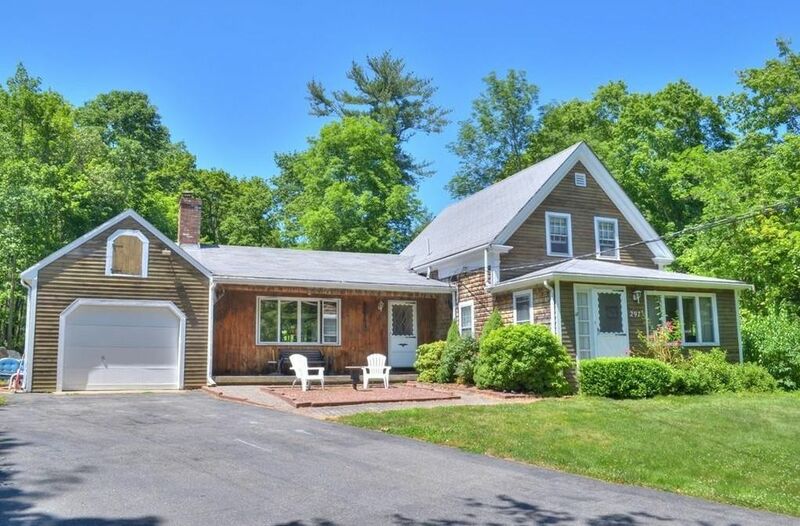 This home is located in a great neighborhood, in an area of higher priced homes, close to shopping, Commuter Rail & Ferries.